Pioneers in the industry, we offer plain pencil pouch, pencil pouch, promotional pouch, zipper pouch, pvc pouch and plastic pouch from India. Plain Pencil Pouch undergo various tests under the direction of quality controllers, in order to assure their defect free range. 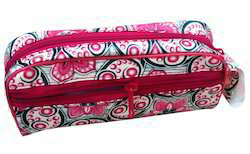 We have gained huge popularity among the clients, as we are engaged in the manufacturing Pencil Pouch. 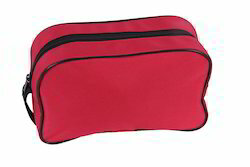 Promotional Pouch is manufactured using modern machines & finest quality of material in compliance with market trends. 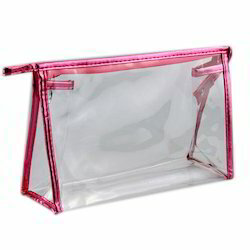 Zipper Pouch are designed with utmost precision using quality-tested material and advanced techniques keeping in mind the latest trends of the market. 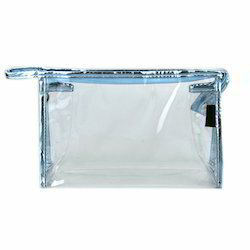 With enriched industrial experience and knowledge, we are providing an excellent range of PVC Pouch. Our organization is actively engaged in manufacturing of Plastic Pouch. Pencil Pouch is designed with utmost precision using quality-tested material and advanced techniques keeping in mind the latest trends of the market. We are offering Printed Zipper Pouch to our client. We are offering Orange School Pouch to our client. We are offering Printed Pouch to our client. Looking for Designer Pouch ?